If you haven’t heard of this product yet…don’t worry. HairBoutique.com carries it and even I had not gotten around to checking it out until recently even though the product arrived in our warehouse at the end of February. Yes, of course I tried it. I make it a point to try out everything HairBoutique.com sells. If it is not appropriate for me….beard trimmers or men’s hair dyes….I ask the HB.com guys to help me out by trying products and giving me their feedback. I personally tried the Essential Orange Oil Shampoo from JF Lazartique and I like it. No, it has not permanently replaced my old favorites but I have added it to the rotation in my shower. In case you haven’t heard the beauty buzz….one of the hottest new scents for Spring 2008 is fresh fruit – apples, oranges and pomegranate. Of course the organic buzz continues to swell. JF Lazartique is a pioneer and leader in the hair care pack. They lead again with their hot new Essential Orange Oil line which includes a Shampoo, Leave-in Orange Oil Conditioner and Masque. Although I tried all three products, I have a tendency to make my blogs too long and thus borderline boring. So, I am only going to review the Orange Oil Shampoo in this go-round. 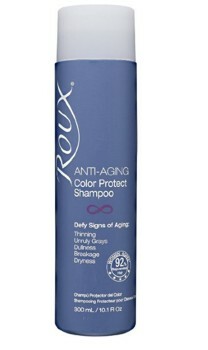 Ingredients: Aqua/Water, Sodium Lauroyl Oat Amino Acids, Sodium Cocoyl Apple Amino Acids, Babassuamidopropyl Betaine, Cocamidopropyl Betainamide MEA Chloride, Cocodimonium, Hydroxypropyl Hydrolyzed Wheat Protein, Digylcerin, PET-20 Methyl Glucose Dioleate, Cocoglucoside, Glyceryl Oleate, Hibiscus Sabdariffa Flower Extract, Citrus Grandis (grapefruit) Seed Extract, Parfum/Fragrance, Citrus Aurantium Dulcis (orange) Peel Oil. How To Use: Wet hair well with lukewarm water ONLY. Apply a small amount of shampoo into the palms of your hands and then apply to wet hair. Spread evenly. Massage gently and rinse well. 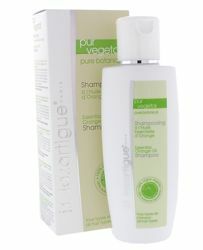 This product is designed to work with the Essential Orange Oil Mask and the Essential Orange Oil Leave-in Conditioner. The Orange Oil Mask could be used in the shower and then rinsed out and the Essential Orange Oil Leave-in can be used after hair is towel blotted to remove excess water but before detangling. If your hair is fine or thin you may not wish to use the Orange Oil Mask or leave-in. Decide according to your hair type and texture. Note: Although the official word from JF Lazartique is to use the shampoo directly from the bottle, I am a big fan of diluting for a softer shampoo experience. Of course I have extremely long dry hair and for me, diluting or washing with “conditioner only” is best for me and my hair type. However, if your hair tends to be oily or get dirty easily, you may want to experiment with using the full strength. Should you use more than one shampoo application? No. Not in my opinion but again, everyone is different. Final Results: Although there is a very faint aroma of fruit, it is faint. Some people may like that. I don’t care as long as the scent is not overpowering. The shampoo is soft and moisturizing although I did dilute it with 1/4 teaspoon of shampoo to 1 quart of lukewarm water…and then I poured the suds over the top of my head and patted the suds into the middle sections. I think this is a good shampoo and I will definitely be using it again. Is it overly moisturizing? No. Which is something I prefer. But it does provide a nice soft finish. One advantage to diluting is that you get more for your money. Why? Because this is a French product and is a little more expensive at this point. It is a very high end product and JF Lazartique has a fabulous reputation. In fact, a little history……a few years back I went on a campaign to bring the line to HairBoutique.com because I personally liked several of their products. Of course everyone must judge for themselves and what works for someone, may not work for another. Which is great news for Ebay. 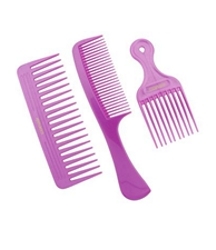 All of the JF Lazartique Products are available at the HairBoutique.com Marketplace. This entry was posted on Friday, March 14th, 2008 at 6:02 pm	and is filed under Hair Product Reviews. You can follow any responses to this entry through the RSS 2.0 feed. Both comments and pings are currently closed.